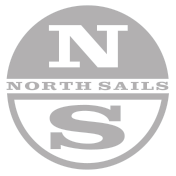 North Sails makes fast and versatile sails for the Sonata class, manufactured using the most advanced technology and highest quality materials in the industry. Our Sonata experts are available to help you get the most out of your North Sails product offering sound advice, tuning information and expertise. All purpose The Sonata cross cut M-3 Mainsail is designed to be more powerful for the light medium airs but responding well to the sail controls so it de-powers easily when required. The design features a very straight exit which helps you keep the boat flat, ease the sheet 1/2" and the leech of this sail really opens up and de-powers! When using the cross cut SJ-1 you will find the boat easier to steer in the big breeze and heavy chop. It is manufactured from Dacron. The full radial C-3G Genoa is our all-purpose genoa and is designed to complement the M-2 Mainsail. Manufactured from Pentex laminate it gives the sail great longevity and performance. The full radial MS-1 Spinnaker represents the latest thinking in spinnaker design. This all purpose spinnaker is easy to fly and sail, the radials and even shape make for easy trimming in even the most difficult conditions. It is manufactured in .75 oz Nylon.